The Health Ministry drafted a letter which the Chair of the cash-strapped Canterbury District Health Board then sent to the government saying it could work with existing funding. Information obtained by Checkpoint under the Official Information Act shows that in December 2015, the DHB’s then-chairman Murray Cleverley sent a letter to the Health and Finance ministers, having received an identical draft of the letter from the Ministry of the Health the previous day. The DHB’s Chief Executive and the Ministry of Health were aware of the letter, but none of the board members knew. Board members have told Checkpoint they could not believe it when they learnt what had happened and would have never agreed to the letter being sent. The DHB was under intense financial pressure following the Christchurch earthquakes, and desperately needed more money, they said. On December 10, 2015, National Health Board Acting National Director Michael Hundleby sent an email to CDHB’s Chairman at the time, Murray Cleverley. That letter, released to Checkpoint under the Official Information Act, was for the Health Minister and Finance Minister of the time, and said that the DHB understood the Crown’s expectation to manage its capital spending within existing funds. 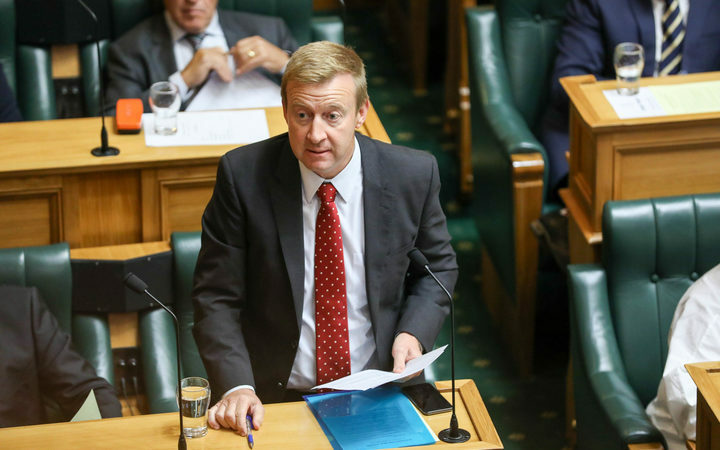 The very next day, Mr Cleverley sent the exact letter (only changing CDHB to Canterbury DHB, and ‘Yours Sincerely’ to ‘Kind Regards’) on CDHB letterhead to then-Health Minister Jonathan Coleman and then-Finance Minister Bill English. Effectively, he was telling them that the DHB did not need more money, despite knowing the DHB was under significant financial pressure, including the costs associated with demolishing 44 buildings. Seven-and-a-half hours after Mr Cleverley received Mr Hundleby’s email, including the draft letter, he forwarded it to DHB chief executive David Meates. “It is really difficult for ministers to understand the size of the facility damage we are grappling with,” Mr Meates wrote. Despite Mr Meates’ warnings, and not having discussed the issue with fellow board members, Mr Cleverley sent the letter to the ministers the next day. Mr Cleverley told Checkpoint it was irrelevant who wrote the letter, but he had to take “some ownership” for it because he put his name to it. He said that he had to either take the board with him or come to an understanding with the ministers – both were not possible. “I still take the right of the chair… If I need to exert my, over-exert my authority or whatever it takes to get a job done,” he said. He said believed there would have been consequences if he didn’t send the letter. Mr Cleverley said there was nothing “sinister or untoward” in regards to the letter. He believed Mr Hundleby would have been having similar conversations with board chairs throughout the country. Board members say Mr Cleverley went behind their backs in sending the letter. It was not until February – three months after the letter was sent – that board members found out about it. CDHB member Jo Kane says she was “pissed off” when she learnt about it. “You don’t get to write a letter on your own. The chair is the person who is the conduit for the board’s view, and that was not the board’s view at the time. It was someone else’s view,” she said. Dr Crighton said that she made inquiries and found out the letter did not come from the board’s secretarial team, which was due process. Ms Kane and Dr Crighton were the only two board members prepared to go on the record, but Checkpoint has spoken to several others who share their sentiments. Ms Kane said she believed Mr Cleverley’s move was “crude, rude, just lacking in any sort of integrity, lacking in any sort of real professional nous”. Executive Director of the Association of Salaried Medical Specialists Ian Powell said that DHBs were supposed to speak out on behalf of the communities they were serving, but that had become increasingly difficult over the last nine years. DHBs’ relationship with the Ministry of Health was poor under former Director General Chai Chua, who left in February, he said. “I think many District Health Boards believed they were being cajoled, they were being bullied, they were being harassed, they were being pressured. Checkpoint has repeatedly contacted Dr Coleman this week for comment, but he has not responded.